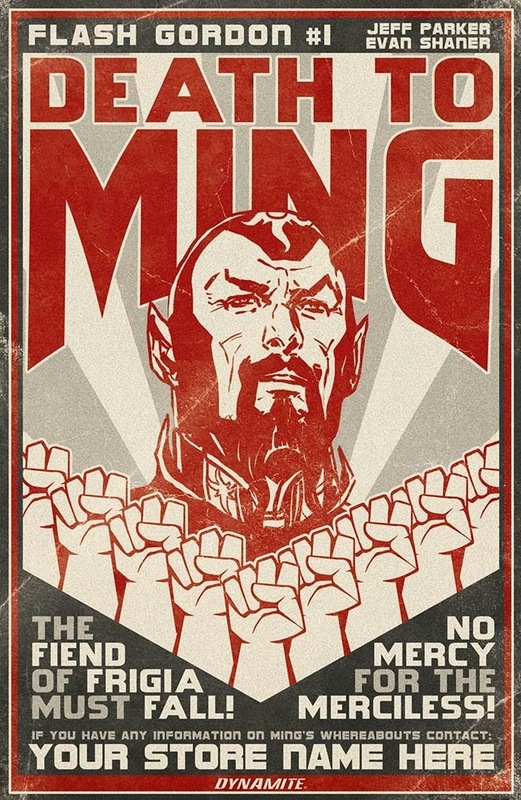 I have scoured the net, and can't find the artist behind this Soviet propaganda style poster variant for Ming The Merciless! In the ultimate stroke of cool, retailers can have their name placed on the cover as the place to report sightings of the pulp hero too. Of course you have to order 500 copies but you'll forever have your name linked to aiding Ming! CAPTAIN ACTION CAT: THE TIMESTREAM CATASTROPHE #1 The crossover epic event of a lifetime! Finally, Captain Action Cat meets Action Cat and the characters from Aw Yeah Comics! There is something Evil out there and Evil Cat is determined to find it! Even if it means searching throughout the Silver Age to do it! This series promises the typical zaniness that the creators of Tiny Titans are known for. 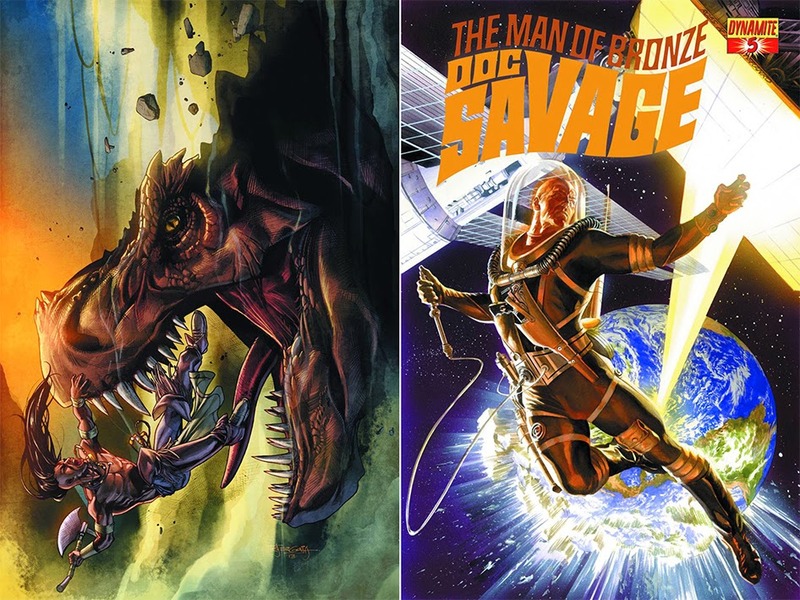 DOC SAVAGE #4 (W) Chris Roberson (A) Bilquis Evely When a group of cultists takes control of an abandoned orbital weapon, threatening to burn whole cities unless their demands are met, the whole world is in a state of panic. Fortunately, Doc Savage and his aides are already in orbit, and have one chance at averting disaster. TUROK: DINOSAUR HUNTER #3 (W) Greg Pak (A) Mirko Colak. As dinosaur carnage spreads across the land, Turok and Andar face an even more dangerous enemy - a fangless, scale-less monstrosity that's more ruthless than any other creature on the planet. What do you think? For Dynamite's full April 2014 solicitations, click the jump!